Traditional Chinese New Year spring festival is coming and many kinds of food will play an important part in the celebration. 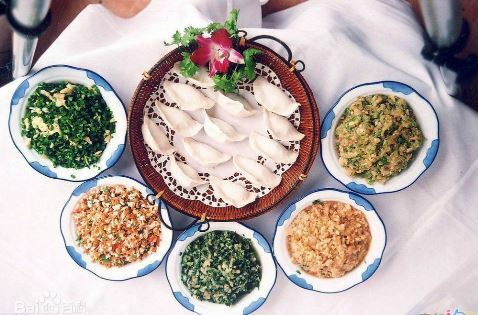 Most of people in northern China will enjoy a big meal with well-known dumplings on the first day of the New Year. Why are dumplings are apart of welcoming the New Year? Let’s take a look at what significance it holds in Chinese culture. 1. Why Do Chinese Like Dumplings? For one reason, we can find that the shape of dumplings look like gold ingots from ancient Chinese history. 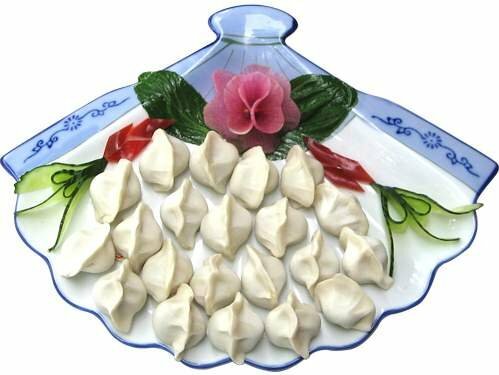 Given the similarity, Chinese people wish to bring treasure and wealth in the coming new year for our families and friends with dumplings. Another reason is that dumplings are filled many auspicious ingredients to bring blessings and respects. We like to use different ingredients to symbolize different wishes. 2. 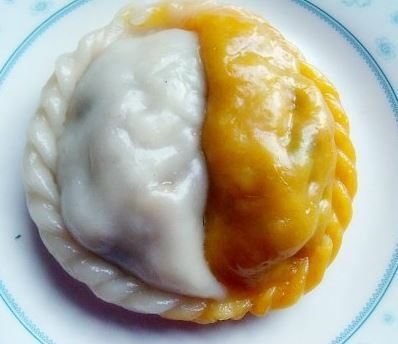 What is the Meaning for Different Fillings for Dumplings? 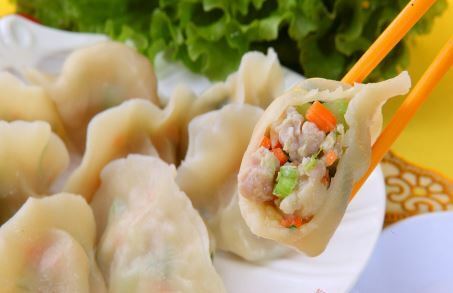 All kinds of meat are the main component of the fillings for dumplings, especially pork. However, Chinese families also put some other auspicious items in the dumplings as we mentioned above. For example: 糖(tánɡ) sugar Chinese people like sugar as a filling for dumplings to bless each other with a sweet new year. 花生(huā shēnɡ) peanut Peanut (huā shēnɡ) is also called “chánɡ shēnɡ ɡuǒ”. “Chánɡ shēnɡ” means long life. Hence, peanut will be used as a filling for dumplings to bless friends and family a long live. 芹菜(qín cài) celery Celery (qín cài) sounds like diligent (qín kuɑi). So celery will be used as a filling to bless people through their hard work a warm and energy filled life. 萝卜（luó bo）turnip Chinese people believe that eating turnip is good for guiding qi downward. Therefore, turnip is used as filling to bless each other with a smooth and successful life in the coming new year. 3. 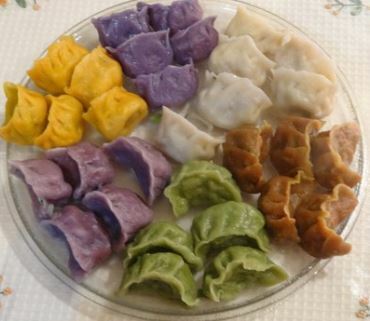 What is the Meaning for Different Shapes and Different Colors of Dumplings? The five blessings have descended upon the house. These five colors are representative for five blessings wished on a household during the New Year. The five blessing are longevity, wealth, health, virtue and a natural death (this one wish one to live a long full life to understand why you would wish this blessing for someone). Good things always come in double. The idea of “two things are better” than one comes to mind. The good things always come in number of twos. To have all one’s wishes or best wishes. The meaning beyond this presentation is to give a bountiful amount of dumplings to wish one all the best. Chinese New Year is coming and dumplings will be everywhere! It is exciting to learn about the different meanings for different fillings. Please feel free to reach out to us if you are interested in learning more about others types of dumpling ingredients. We hope you learned why dumplings are important and can part take in the festivities. Let’s celebrate this great festival with meaningful dumplings!